Kiki Hamilton truly captured my imagination with The Faerie Ring, It is definitely one of my favourite 2011 reads. Taken from Goodreads: Debut novelist Kiki Hamilton takes readers from the gritty slums and glittering ballrooms of Victorian London to the beguiling but menacing Otherworld of the Fey in this spellbinding tale of romance, Suspense, and danger. The year is 1871, and Tiki has been making a home for herself and her family of orphans in a deserted hideaway adjoining Charing Cross Station in central London. Their only means of survival is by picking pockets. One December night, Tiki steals a ring, and sets off a chain of events that could lead to all-out war with the Fey. For the ring belongs to Queen Victoria, and it binds the rulers of England and the realm of Faerie to peace. With the ring missing, a rebel group of Faeries hopes to break the treaty with dark magic and blood - Tiki's blood. Unbeknownst to Tiki, she is being watched - and protected- by Rieker,a fellow thief who suspects she is invloved in the disappearance of the ring. Rieker has secrets of his own, and Tiki is not all that she appears to be. Her very existence haunts Prince Leopold, The Queen's son, who is driven to know more about the mysterious mark that encircles her wrist. Prince, Pauper and thief - all must work together to secure the treaty . . . If that doesn't make you want to read The Faerie Ring . . . Then I have no idea what would but you'd be missing out loads! As this Kiki Hamilton has honestly wrote such an epic novel which will leave everyone craving more! The cover of The Faerie Ring first caught my attention weeks ago as it's so beautiful (and pink) and also very very mesmerising. I've been intrigued by the Victorian Era since I was a child and when I read that The Faerie Ring was based in that time I couldn't wait to read it. 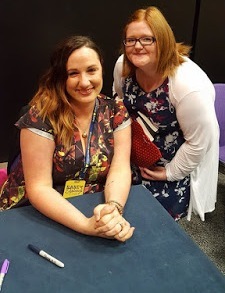 I thoroughly loved The Faerie Ring, it was my first ever Fae book plus set in the Victorian Time something which I never thought I'd get into . . . I'm so glad I did! Leave a comment below with your email address as a way for me to contact you if you win. Winner will be chosen from Random.org. I will post out the above to the winner on Friday 6 January 2012! 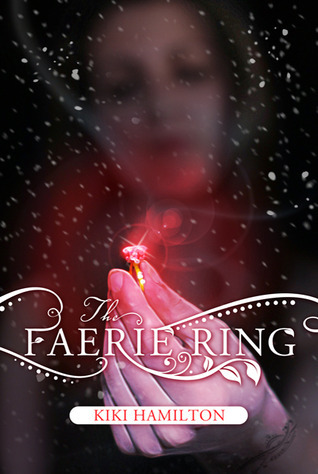 Have you read The Faerie Ring? What did you think of it? What did you think of my Review? Was there anything I could have added? Honest opinions and comments are always appreciated and I welcome any sort of feedback from my review. Great review. I can't wait to read this book. Thanks for the giveaway! Thank you so much for this swag giveaway! I love bookmarks and i can't wait to read The Faerie Ring! Awesome cover too! I have never read this book,but the cover is really pretty. The review definitely makes me want to read this.It is definitely my type of book.